If you enjoy working as an attorney, but you want to spend more time with your family, working from home may be the solution. Here are some companies and places that regularly offer telecommuting positions for lawyers. If you're looking to change careers, I have some alternative career paths for lawyers too! Employment companies, like Flex Professionals, help attorneys find remote, part-time work in the industry of their choice. Founded by three women (who are also moms), this company understands the value of part-time employment and how to strategically match a motivated, hardworking person with a company to fit their needs. InCloudCounsel helps attorneys find virtual employment opportunities with flexible hours and competitive pay. The company works with individual practitioners and specialized boutique law firms to match experienced attorneys with top-tier businesses. While their hiring standards are high, they provide work-from-home attorney jobs around the globe. If you’re an attorney with substantial experience, InCloudCounsel may be able to help you find a work-at-home job in your practice area. LAWCLERK is an online freelance marketplace for lawyers. To get started, create an account, and browse current freelance projects, and apply for the ones you're interested in. I wasn't able to find much on how payments are made, or what percentage LAWCLERK keeps, but they do have good ratings on Facebook. FlexJobs is a paid subscription site for professional telecommuting, freelance, part-time, and flexible schedule jobs. All jobs are hand-screened for legitimacy, so you never have to worry about dealing with scam sites or opportunities. FlexJobs also makes it easy to search by occupation, location, career level, work schedule, and telecommuting level. To find some of the best remote attorney job openings, LinkedIn is an excellent place to start. The networking and employment-focused site lists hundreds of work-from-home attorney jobs every day. Best of all, you’ll quickly be able to see if any positions are linked to your existing network. You can set up alerts through LinkedIn, so you’ll be immediately notified when new positions are listed. Robert Half is a staffing agency dedicated to helping companies and job seekers with their employment needs. A couple of neat things about Robert Half is they offer benefits to some job candidates who are on temporary assignment. They also provide 8,000+ free training courses to their job candidates. Before you create an account, feel free to check out their Job Search Page to get an idea of all the kinds of positions that are available. Not all positions offer telecommuting as an option, but new listings are continually added, so keep checking. 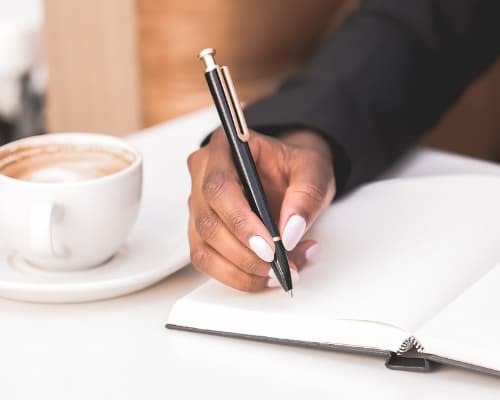 If practicing law is no longer your jam, we have some career ideas for lawyers who are interested in trying something new out. Do you enjoy writing? Do you have a great story to tell? Then becoming a self-made author might be an unexpected work-from-home career for you! Lisa Smith is a former corporate lawyer, now a best-selling author who shifted her professional life when deciding to write her memoir, Girl Walks Out of a Bar, a book focused on her struggles with addiction while navigating a fast-moving legal career. Perhaps you enjoy writing shorter pieces of content? Starting a blog allows you to publish shorter content on any subject you enjoy. Once your site generates enough traffic, the opportunities to earn money as a full-time blogger are endless. Both direct advertising and affiliate marketing are great ways to make money through blogging at home. One such lawyer that left her law career behind for the blogging lifestyle is Natalie Bacon. After graduating from law school and passing the bar exam, Natalie found herself with $206K worth of student loan debt! It was during this time she learned everything she could about money and decided to launch a personal finance blog. For a few years, she continued to work as an attorney and run her blog as a side hustle but later decided that being a lawyer just wasn't for her. Today, Natalie runs her full-time blogging and coaching business from home. Do you want to leave your law days behind you? Do you enjoy helping others achieve their goals? Then consider becoming a certified business coach! Certification isn’t required to become a business coach, but it can help you achieve your goals quicker and help you stand out as an expert within the industry. Plus, many programs only take about six weeks, and they provide you with tools, the know-how, and ongoing support. Alexis Neely is a lawyer who now specializes in providing coaching advice and tips related to personal finances and business. Her unique views and authenticity have allowed her to carve out a one-of-a-kind approach within the coaching industry. On a side note, Alexis Neely also has a second business, Law Business Mentors which offers guidance to attorneys who want to build their own law practice. Do you still love practicing law, but you want to be your boss and work-from-home? If you answered yes to either of these questions then becoming a home-based entrepreneur is the career match you’ve been searching for! No matter what your legal background, take a look at the industry and see if there are any areas where you can offer your law services from home. Two gals that have gone this route are Jamie Lieberman and Danielle Liss. They are partners and founders of Businessese (a blog and online store that offers DIY legal forms) and Hashtag Legal (a home-based law firm offering services to digital entrepreneurs). If practicing law is no longer your passion but your motivation for staying fit remains, becoming a home-based fitness trainer could be your calling. Whether you’re always reading books on the latest nutrition trends or never miss a workout, promoting a healthy lifestyle can easily become a full-time career for you. One woman who ditched her successful law career for her real passion, running, is Robin Arzon. Today Robin is a best-selling author, head instructor at Peloton, and an ambassador for brands like Adidas. And it doesn't hurt that she has 164K followers on Instagram! Are you tired of filing patent applications for your clients? Do you have your own great ideas? Then consider becoming a home-based inventor! While Rebecca Rabson had already left her career as an attorney to become a stay-at-home mom, she couldn't quite find the product that she was looking for on the market, so she created her own, the Smartseat Chair Protector. Rebecca has successfully been running her home-based business since 2010! If these alternative jobs aren't speaking to you — don’t worry! There are many resources out there to help you find a path that lights you up! There are many opportunities to work-from-home as an attorney. You can go the traditional route and utilize your legal knowledge and skills from the comfort of your own home. Or, you can make the leap and become your own boss! 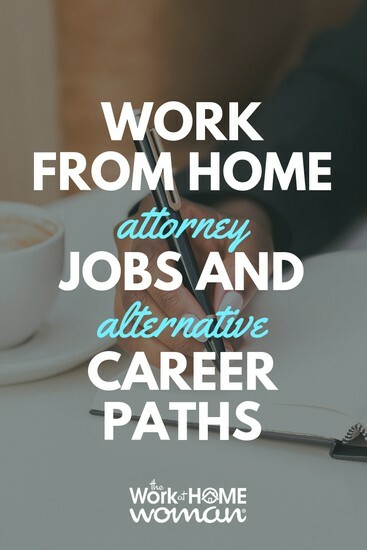 No matter which path you choose, there are many rewarding work-from-home jobs for attorneys to embark upon.